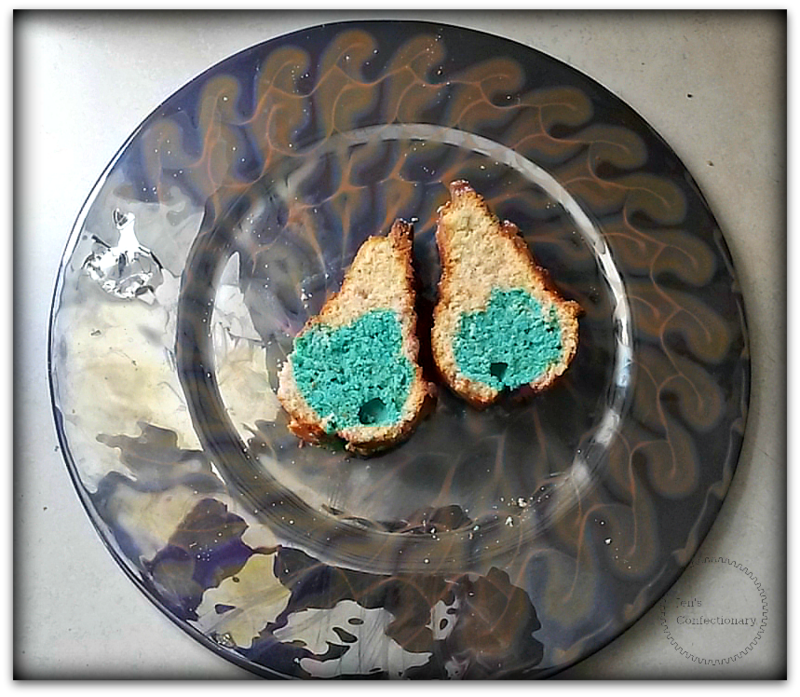 Here’s a simple way to make a “gender reveal” item for baby showers or other baby-related festivities. 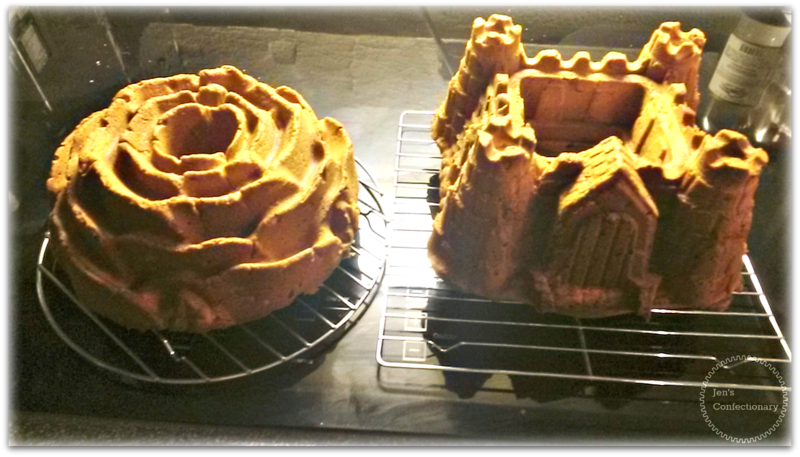 You just need to make batter for any Bundt-style cake mold and then dye roughly a third of it the color you like. If you’re into snazzy molds like I am, then you can easily create something way fancier-looking than the effort you actually put into it. I discovered the hard way that the recipe I picked this time, a pound cake, made a much, much thicker batter than I expected. With the thinner cake batter, I was able to just pour the surprise color in a ribbon in the middle of the plain color and have it naturally sink into the batter. This was not as straightforward with the pound cake batter. 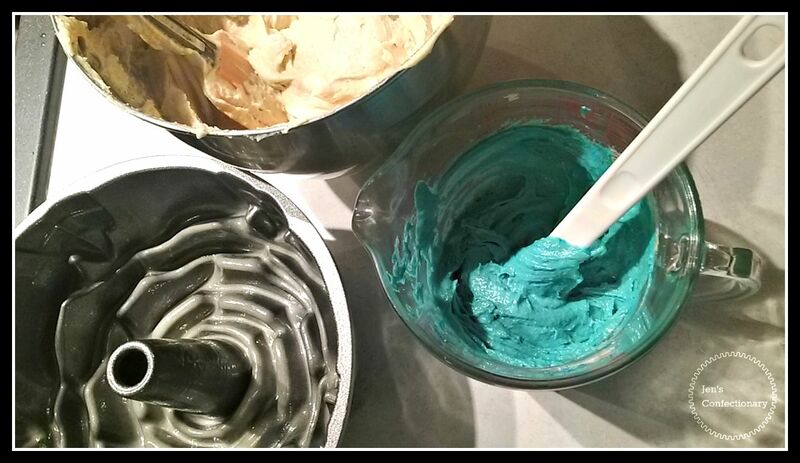 In the end, I used my spatula to create a rough furrow in the plain batter, and then gooped the color into it. This was finished off by gingerly tucking some of the plain batter over it – just in case it helped keep the color hidden inside while it baked and expanded. So far, so good on keeping the color a surprise. Just what I was going for. It would look awesome (and elegant!) to have the neutral/background cake be chocolate, but that would probably call for making two batches of batter (which I’m generally too lazy/rushed for). 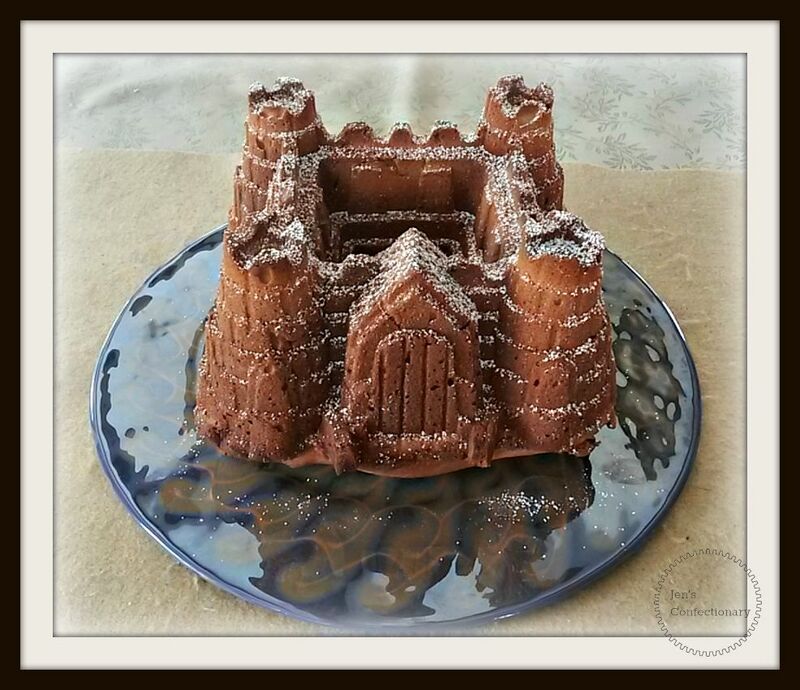 This entry was posted in Cake, Themed and tagged Baby, Baby Shower, bundt, Cake, Gender reveal. Bookmark the permalink.